Six years have passed since Jake Fisher watched Natalie, the love of his life, marry another man. Six years of hiding a broken heart by throwing himself into his career as a college professor. Six years of keeping his promise to leave Natalie alone, and six years of tortured dreams of her life with her new husband, Todd. But six years haven't come close to extinguishing his feelings, and when Jake comes across Todd's obituary, he can't keep himself away from the funeral. There he gets the glimpse of Todd's wife he's hoping for . . . but she is not Natalie. Whoever the mourning widow is, she's been married to Todd for almost two decades, and with that fact, everything Jake thought he knew about the best time of his life -- a time he has never gotten over -- is turned completely inside out. As Jake searches for the truth, his picture-perfect memories of Natalie begin to unravel. Mutual friends of the couple either can't be found or don't remember Jake. No one has seen Natalie in years. Jake's search for the woman who broke his heart, who lied to him, soon puts his very life at risk as it dawns on him that the man he has become may be based on a carefully constructed fiction. 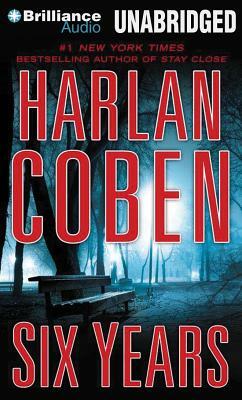 Harlan Coben once again delivers a shocking novel that deftly explores the power of past love and the secrets and lies that such love can hide.